You don't have to be a pro pastry chef to learn how to decorate sugar cookies. With one cookie recipe, you can create a variety of pretty cookies for any event. The classic sugar cookie look is usually using a royal icing to create pretty designs. I'm going to show you how you can take one batch of sugar cookies and create a variety of decorated cookies for all your celebrating. Whether you make your sugar cookie dough from scratch or never baked a cookie in your life, these sugar cookie ideas will help you make pretty cookies every time. We aren't making cutout cookies today. While I love making classic cutout sugar cookies, sometimes there just isn't time. Or, sometimes there are too many people in the kitchen and I think everyone should get a chance to decorate cookies together. This year's cookie making started early. I joined up with a new blog friend, Natasha Nicholes from Houseful Of Nicholes . She's hosting a fun “House full of cookies” blog hop that you don't want to miss. Need a pile of cookies? we've got a pile of recipes! Check out all the recipes at the end of this article. I'm not giving you a full sugar cookie recipe today. Instead, I'm going to share ideas of things you to add to your sugar cookies to dress them up, adjust the flavor and make them pretty. You can use your favorite sugar cookie recipe or mix up some vanilla cake mix cookies. My friend Michelle from Honest and Truly has a fantastic Sugar Cookie Recipe you should try. You can also try any of these decorating ideas with a good, old package of pre-made cookie dough. Our go-to sugar cookies are the pre-mixed packets from Betty Crocker. When I try to make sugar cookies from scratch, they always blend too thin or seem to melt away in the oven. Mixes work better for me. Usually, when we talk about decorating sugar cookies, most people might think about the pretty frosted designs. Typically you might think that royal icing or even buttercream frosting with decorative patterns and art are required. I'm here to tell you, nope! You don't have to have an icing bag or mix up powder sugar at all and you can still come out of the kitchen with a beautiful plate of pretty sugar cookies. You can mix and match any of these decorating ingredients to make a whole variety of cookies. For all of these cookie ideas, I've created basic shaped cookies. Circles, ovals, balls, and a few stars are the only shapes I created. You can use any of these decorating ideas on fancy shape cut cookies too if you'd like. Here's just some of the ways to you can combine ingredients to decorate your sugar cookies. Classic Royal Icing cutout cookies. Read all about making cookie art here. Spread buttercream frosting or pipe it on like you would a cake. I have some pretty Fall leaf ideas you can try. Drizzle with Maple Butter. You can add more layers of fruit or nuts, this is a perfect option if you are following a gluten-free, paleo or AIP diet.. assuming you are enjoying natural sugars. Top with glaze and then sprinkle on shredded coconut for a snow effect. Instead of using traditional frosting, try melting chocolate. You can drizzle the chocolate to create a decorative look all by itself. Or, you can top with sprinkles for a bit of festive flair. Spread melting chocolate. It hardens pretty quick, so it's perfect for quick decor. Top with sprinkles or nuts and you're ready to stack your cookies in minutes. Blend melting chocolate flavors to create a little bit of a marbled look. You can also add flavors to melting chocolate which make them perfect for cookies. Think, white chocolate and peppermint… yum! 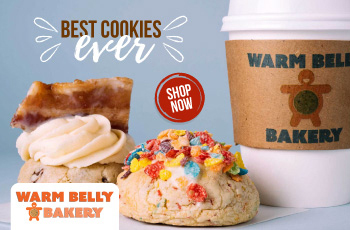 Delicious Cookies shipped right to your door! Roll your sugar cookie dough into balls instead of rolling flat. Then, after baking, roll the balls in cinnamon sugar or powdered sugar. For a quick snickerdoodle hack, dip your flat sugar cookies in cinnamon sugar before baking. The vanilla sugar cookie mixed with cinnamon tastes pretty darn close to a real snickerdoodle. For another cookie look, sprinkle your cookies with rolled oats and cinnamon before baking and then top with fruit or nuts to finish them off. Not in the mood to make your own cookies? 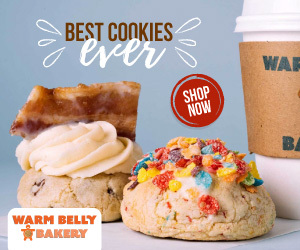 Buy delicious cookies shipped right to you! Of course, my favorite cookies are the kind you can eat. But I think any cookie is better when you've decorated it. it's like art you can eat, of course!